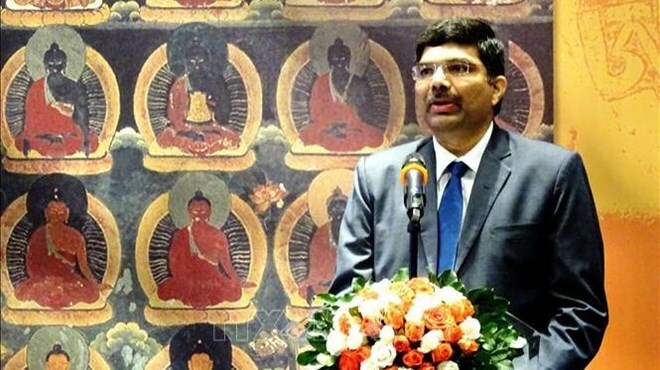 HCM City (VNA) – The Indian Consulate General in Ho Chi Minh City organised a seminar on March 20 to introduce the culture, tourism, cuisine and beautiful nature of India. The event, which drew representatives from the municipal Tourism Department, nearly 50 Vietnamese travel companies, and those from India, was also a chance to strengthen cooperation and promote tourism services between the two countries. Addressing the seminar, Indian Consul General K. Srikar Reddy emphasised the Vietnam-India connections in history and civilisation, saying mutual visits by the two countries’ high-ranking leaders have focused on tourism collaboration and people-to-people exchange which are main factors of the bilateral comprehensive strategic partnership. He noted that Vietnam and India are yet to fully tap their tourism potential although the number of tourists travelling between the two countries has significantly increased in recent years. According to Nguyen Thi Anh Hoa, Deputy Director of the HCM City Tourism Department, India ranks 11th among the city’s 20 leading tourist markets. By the end of 2018, Indian tourists to HCM City numbered about 103,000, an increase of 80.9 percent against the previous year and accounting for half of total Indian arrivals to Vietnam. The municipal tourism sector always considers India a potential tourist market, she said, adding that in the coming time, it will step up exchanges and cooperation as well as design tour programmes through farmtrip and presstrip activities in order to increase tourists traversing the two nations.